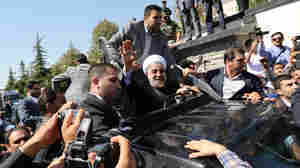 September 28, 2013  Despite reports of a shoe being thrown at President Hassan Rouhani's car, he had many backers among the crowds that gathered near Tehran's airport Saturday. 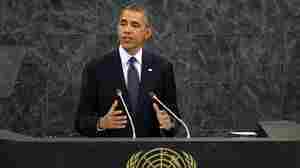 Some voiced their support; others criticized the U.S. and Israel. 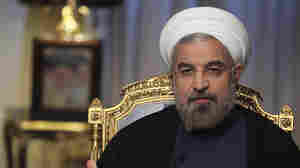 Diplomacy With Iran: Deja Vu All Over Again? 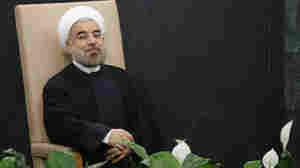 September 20, 2013  Iran's new President Hassan Rouhani has launched a charm offensive ahead of his visit to the U.N. General Assembly next week, leading to speculation of a new course for relations with the U.S. 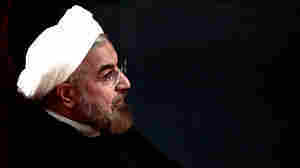 But there are plenty of reasons for skepticism — Iran's history with the U.S. not the least of them.